Your one-stop bike store, a fixture on-the-pike since 1984, Papillon Cycles is proud to offer its customers the latest in biking equipment, prompt and expert servicing, and a gathering place for local bikers. In addition to our new bicycles, we occasionally offer reconditioned bikes for sale. As an authorized Giant Bicycles dealer, we carry a variety of models to fit you and your budget. Whatever you choose, Giant has the model for you. Don’t see that special bike in our showroom? We’ll be happy to order that Giant Bicycle to fit your needs. 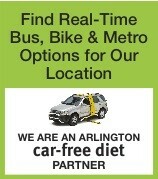 We support the Washington Area Bicyclist Association (WABA). As a thank you for supporting the work of this organization, bring your up-to-date WABA membership card with you to the shop and we will give you 10% off the price of Parts and Accessories.